Leis are available for your wedding or next party, luau, or special event. 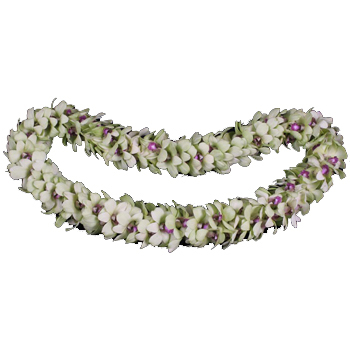 Please browse our wide selection of single, double, or triple strung leis. They are available for you next tropical inspired event and come in a variety of colors, flowers, and styles. 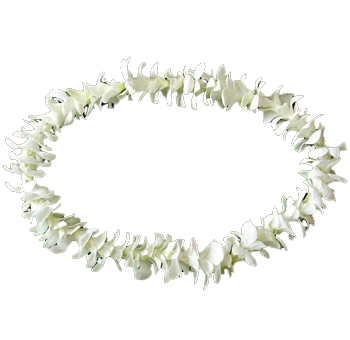 Choose from wedding leis, orchid leis, leis for men, and plumeria leis. 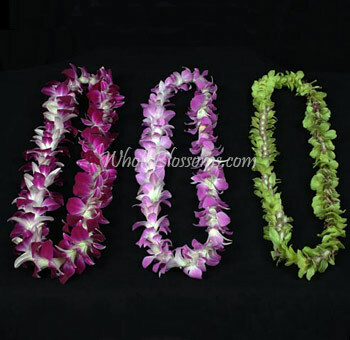 Additionally, our wholesale tropical leis are available in single, mixed, or dyed colors. They come directly from the orchid farm and are shipped to you overnight for maximum freshness. Hawaiian Leis are known to be much more than just a bunch of flowers. They signify the expression of love, affection, and peace which also goes by the Hawaiian word "Aloha." They help to celebrate the most special moments in life. The beauty and freshness of the leis are the perfect floral element to mark special occasions. Hawaiian leis can bless beautiful tropical weddings to shine through. They are also considered as a sign of welcome, celebration, and an environment filled with love and warmth. The traditional uses of the leis continue to prosper in the modern days of love. It's essential to learn the uses, history, and the origin of the traditions for the Hawaiian leis. Handing out a lei signifies a meaningful friendship. It is also used to celebrate or honor someone and can be readily used for gifting purposes. The warmth that Hawaiian leis flowers share can make you feel a ton of tender emotions. 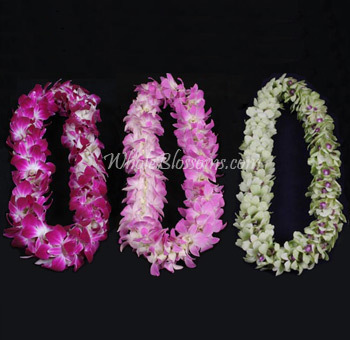 You can order Hawaiian leis wholesale with trusted online florists like Whole Blossoms. Celebrate an occasion with the chic and tropical touch of Hawaiian leis to transform the whole environment with its elegance. You can use it to creatively decorate wedding setups or even make up your own lei. There are many charming ideas that can be used like tying up orchids using ribbons around gift baskets or using the orchids in bridal celebrations. The bride can even use it on her hair to bring out an enchanting and romantic look. These flowers can go perfectly as water centerpieces and even in tropical drinks. The spirit of the traditional Hawaiian greeting, Aloha symbolizes the true essence of being greeted. The welcoming nature of the tradition can easily sway anyone with its loving emotion. If you go on a walk on an island of Hawaii, you can easily find leis worn by people living there. 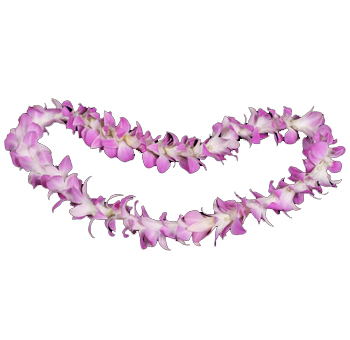 Hawaiian leis can be used to celebrate achievements with its exquisite touch. You can quickly get Green / pink / white Hawaiian lei flower delivery right to your home via trusted online florists. Make someone feel unique with the freshest quality of flowers. These unique weaves can make any celebration shine with their exotic tinted flowers with a wide range of colors. 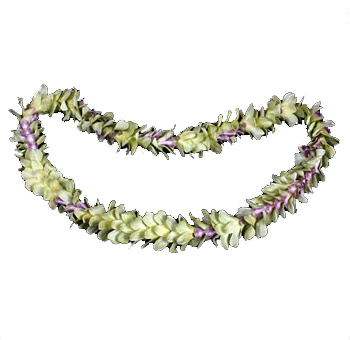 Hawaiian leis garland are primarily made as a necklace of flowers made in Hawaii. It is extensively used as a token of welcome or even farewell. These weaves are usually made from ginger blossoms, orchids, Jamis blossoms, or even carnations, etc. Hawaiian floral arrangements can bless any special celebration with their graceful presence. 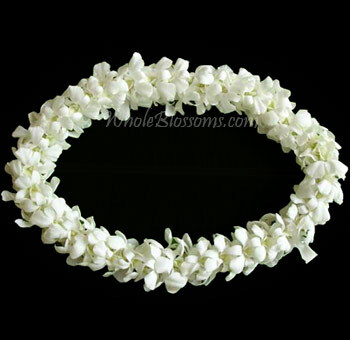 The length of the lei can be up to 18 inches in total. The intoxicating nature of the flower weaves come with a mesmerizing scent. The beloved tradition is lauded all over the world with its bright and vibrant colors of the flowers. Hawaiian leis can be used to make the setting for any special occasion. If you want to get Green/pink/white Hawaiian lei flower delivery, surf through Whole Blossoms to get the best quality of flowers. The cherished symbolism of the leis is just irresistible. The Hawaiian custom also says that if one tosses the leis into the water around the island and it comes back to the shore, then they are sure to come back one day. If you want to experience the beloved custom with the vibrant colors and scents of the lei, get your hands on the tropical Hawaiian leis today. Where to buy Hawaiian leis for sale with the best quality and price? Browse through the extensive collection of Hawaiian floral arrangements to find the perfect leis for any lovely occasion. Use the warmth of leis to wrap your loved ones with immense love and affection. 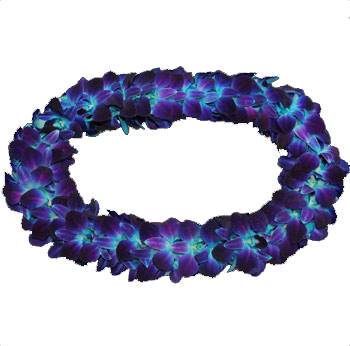 Classic single purple orchid leis can be the best for loved ones. The best part about Hawaiian leis is that they are perfect for any occasion. They are great for weddings and special events like functions and more. 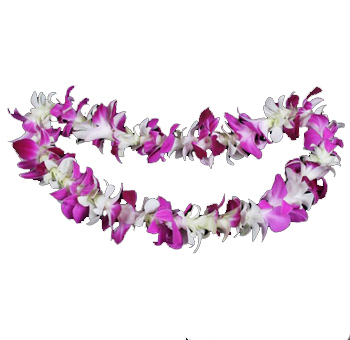 You can easily get fully assembled Hawaiian leis at your doorstep from trusted online floral shops. Get your flowers from reliable florists for fresh and the best quality of arrangements. Whole Blossoms stands to be one of the ideal choices to order the finest quality of flowers. Gather creative ideas to use the leis in the best way. 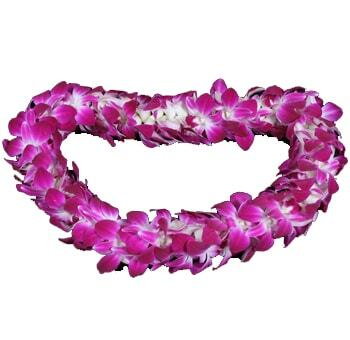 Order Hawaiian leis wholesale to bless any special occasion from trusted online florists. Let the amazing flowers charm the environment with their enchanting nature. The lovely purple orchids work their charm to steal the spotlight. With their graceful presence, they manage to be the most stunning piece of art with their appearance. They are bound to draw everyone’s attention with its lovely nature. Get all flowers at very cheap prices and of the greatest quality!